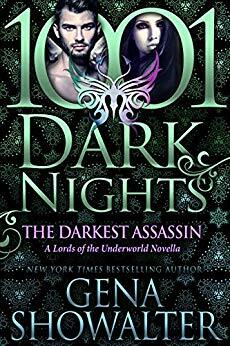 Amazon * Barnes and Noble * HQ * Kobo * Books on Board * Harlequin * Kindle * Audible * iTunes * iBooks New York Times bestselling author Gena Showalter has enthralled thousands of readers with her Lords of the Underworld series. Enter this darkly sensual world, where the line between good and evil blurs and true love is put to the ultimate test, in the series prequel novella, The Darkest Fire. He is the guardian of hell, more monster than man. She is the goddess of oppression, more angel than woman. Together they will enter the flames to battle a dangerous horde of demon lords—and discover a passion unlike any other… Don’t miss this sizzling prequel to Gena Showalter’s breathtaking paranormal series The Lords of the Underworld! 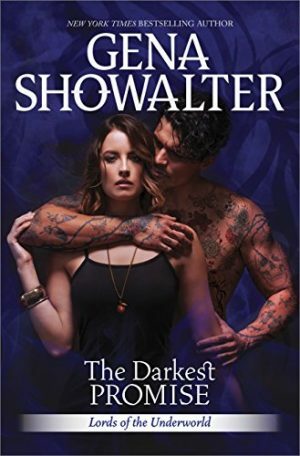 Though they carry an eternal curse, the Lords of the Underworld are irresistibly seductive—and unimaginably powerful… “Showalter at her finest.” —New York Times bestselling author Karen Marie Moning on The Darkest Night, the first novel in the Lords of the Underworld series. Book 0.5 of Lords of the Underworld.